DEB ROBERTSON WRITES....: Whew, it's Friday!!! This has been the longest week ever, you know how some weeks are! 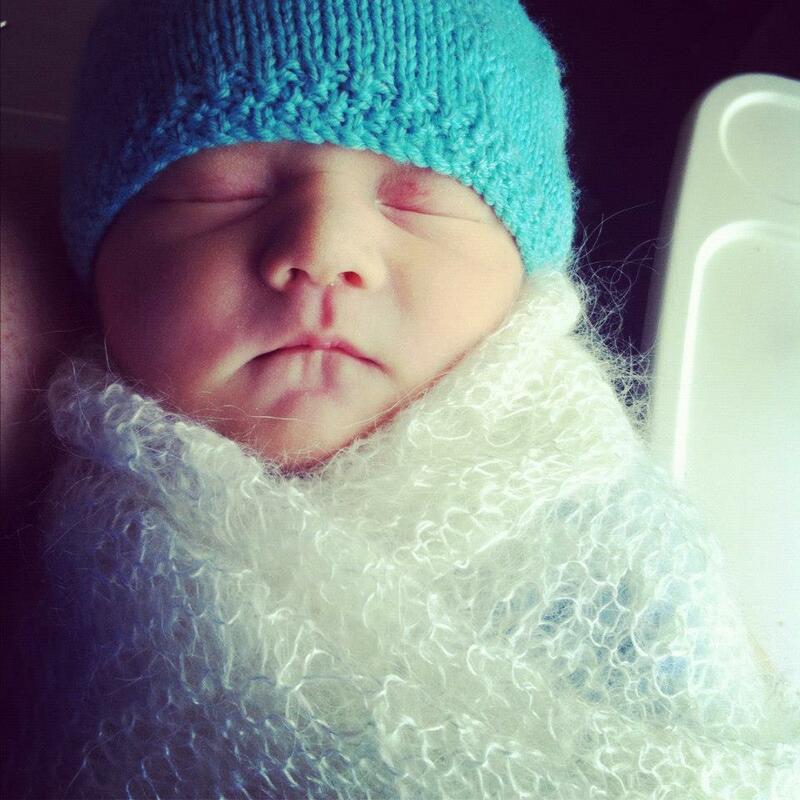 But the best thing that happened was the arrival of my beautiful nephew, Knox. but I think I might have to keep a piece of these two and make some summery bunting. Isn't it lovely? I really really like it. There's still a few pieces left. and there's some lovely fabric. This is our dining table this morning. and then we got up at 5.30am this morning and worked together on our quotes. 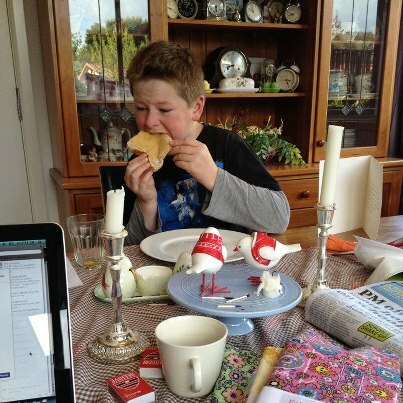 Then I've loaded fabric to the fabrichicks website while the kiddies have breakfast. It's 8am and time to shower and get Roo off to school. school holidays start today. We can't wait. I am hoping that once I have had the baby I have some more energy. I barely stay awake past 8:30pm and don't wake up until 7:30am. I feel like such a slacker! haha! Enjoy your week away Deb, Im exhausted reading how busy you are!! Hope you have a lovely time away.